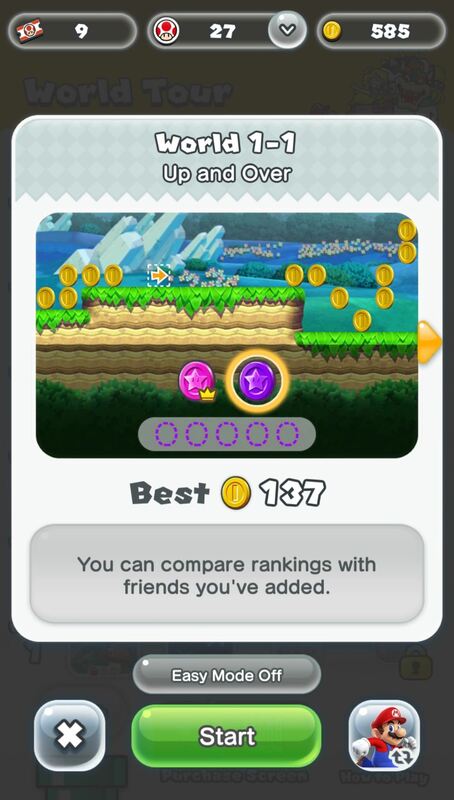 Though not quite as agile as the world famous plump plumber Mario, Toad, the lovable fungus, is still one of the most fun characters to use while playing Super Mario Run. 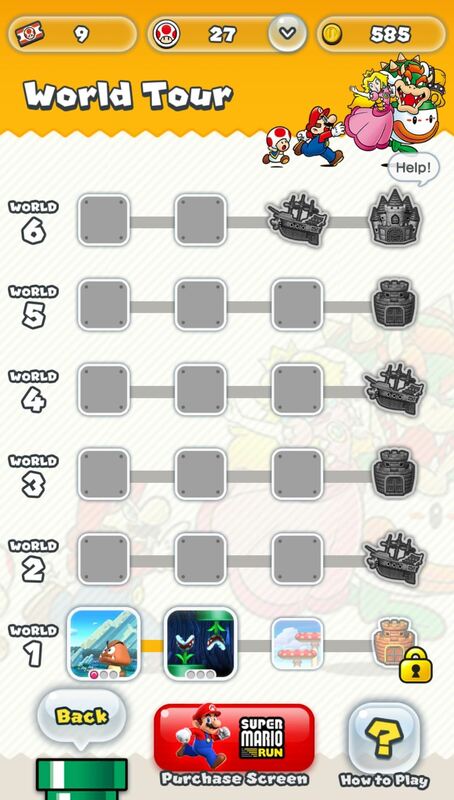 Thankfully, he is also by far the easiest character to unlock in the game, requiring no special tasks to complete. 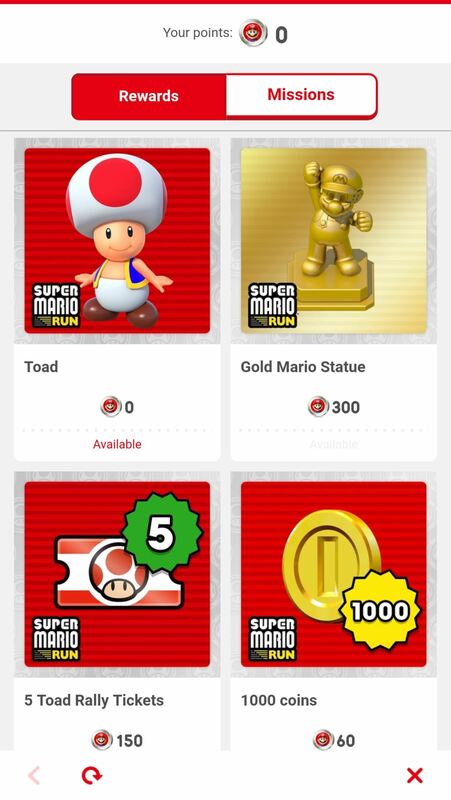 Gaining access to Toad in Super Mario Run is relatively simple — it's basically just a matter of linking an official Nintendo account to the mobile game, and finally claiming this endearing character as a prize once the task is completed. If you'd like the full rundown on how it's done, just keep reading further. To get started, you'll first need to link your My Nintendo account in the game by going to your kingdom (the main screen) and tapping on the Nintendo icon in the upper-right corner. 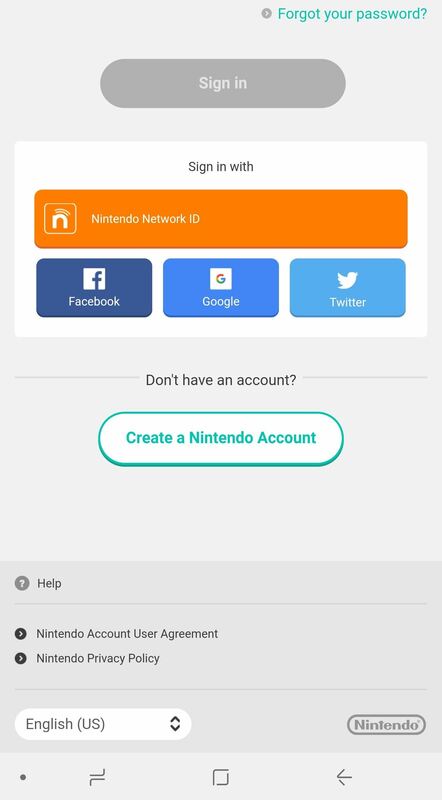 You'll now be taken to a prompt detailing the benefits that come along with linking your account, so go ahead and tap on the "Link to Nintendo Account" button, and select "Sign in" or "Create a Nintendo Account." 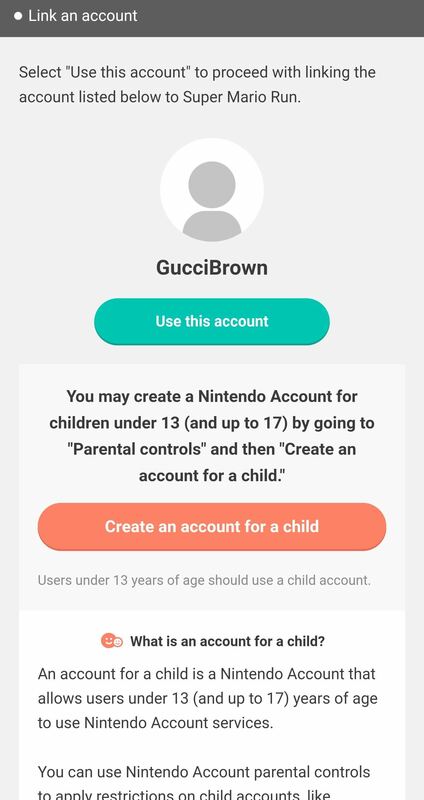 From there, sign in to your Nintendo account using your credentials. If you don't already have an account, you can quickly create on by choosing to sign in with your Facebook, Twitter, or Google account. 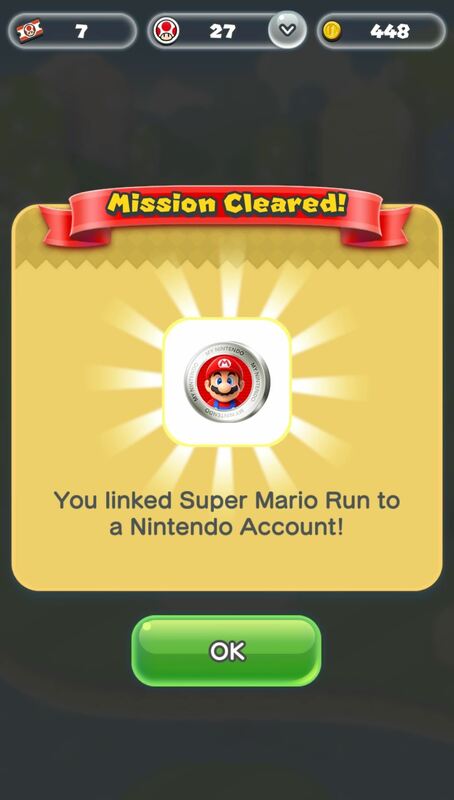 After your Nintendo account is created or logged into, follow the prompts and select accordingly to finish up, then tap "OK" when you're greeted by the "Mission Cleared!" page. 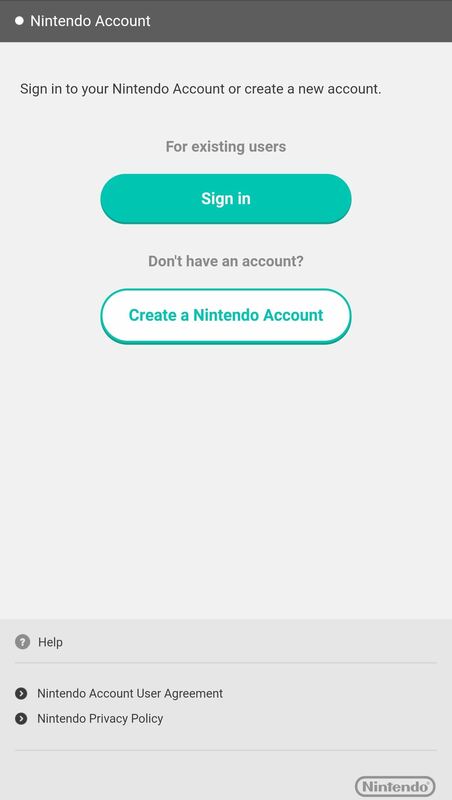 With your Nintendo Account created and successfully linked, you'll be automatically taken to a rewards page showing the points and prizes you've accumulated. 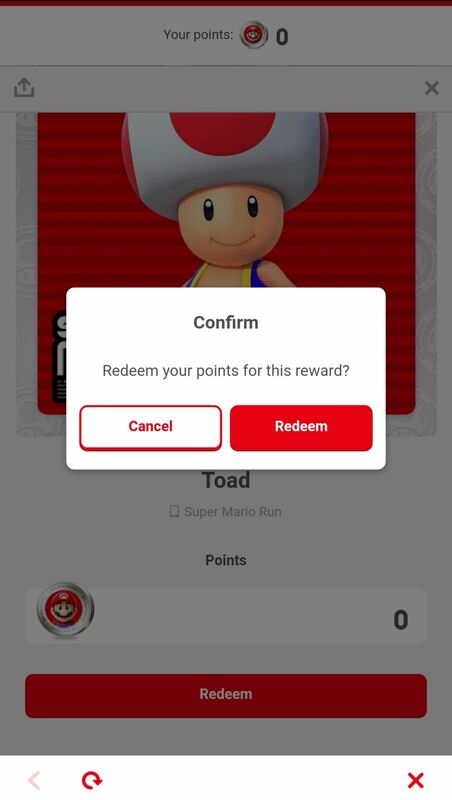 You'll notice that Toad is available and requires no points to redeem, so tap on his picture, then choose "Redeem" once prompted. 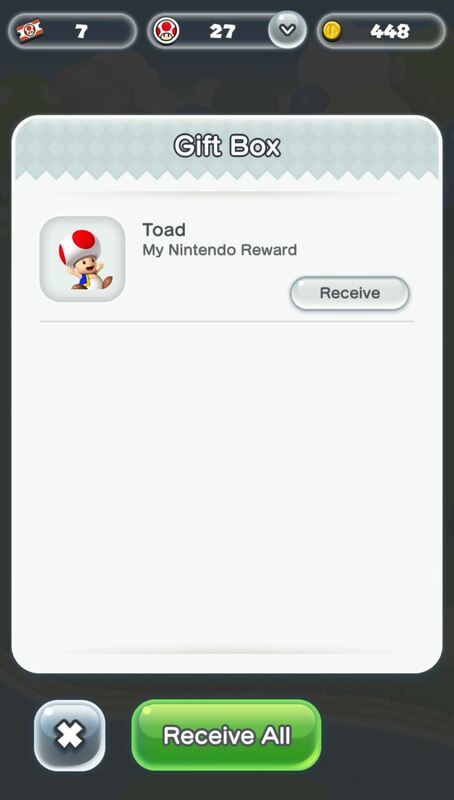 After hitting "Redeem," follow the prompts to finalize redemption, and Toad will be delivered automatically to your gift box. 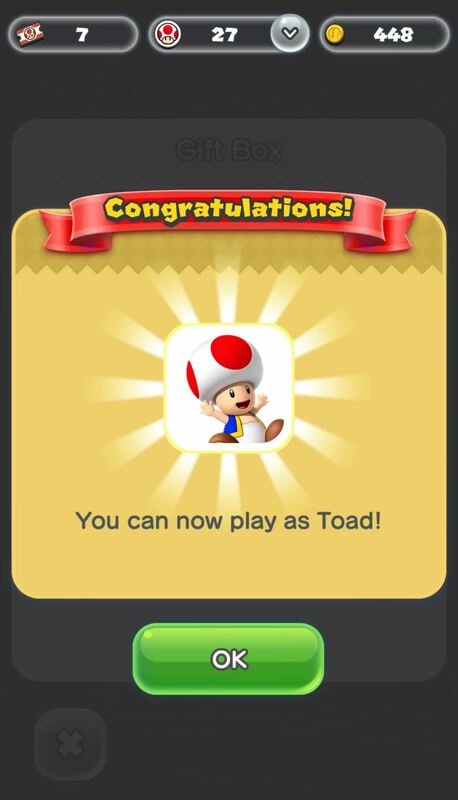 Now, proceed to the next step to find out how to finish unlocking Toad. 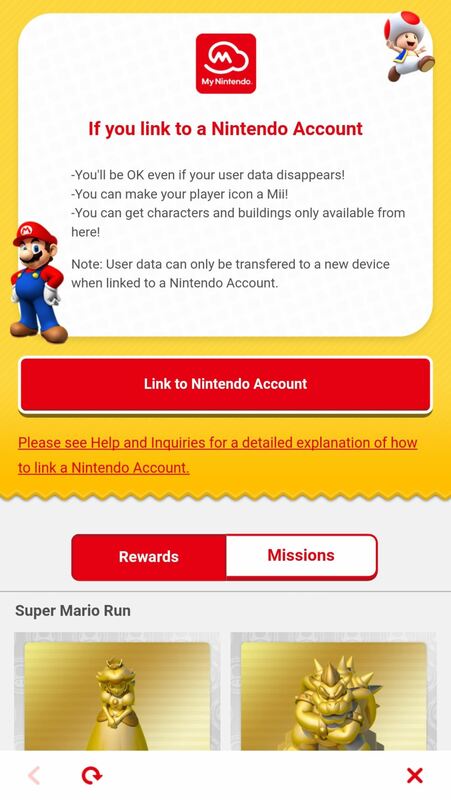 To claim Toad as a playable character, head back to the main page and tap the "My Nintendo" button in the top-right corner. 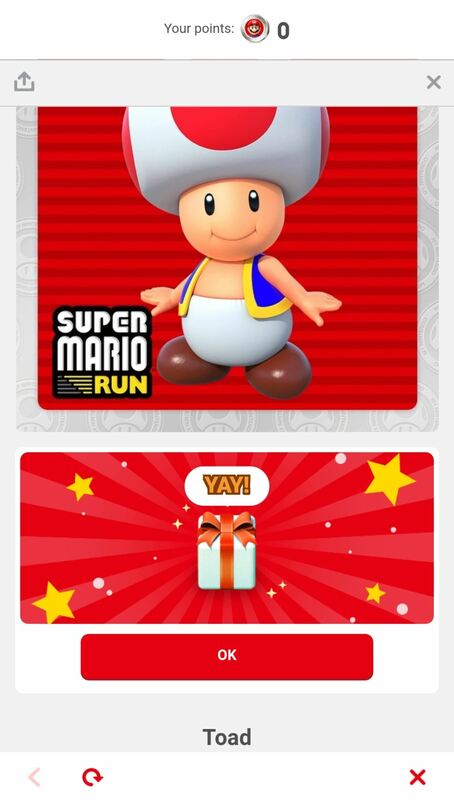 Your Gift Box will now appear with Toad inside, so select either "Receive" or "Receive All," and finally tap "OK" on the congratulatory prompt to seal the deal. Now you're ready to unleash the fungal fury! 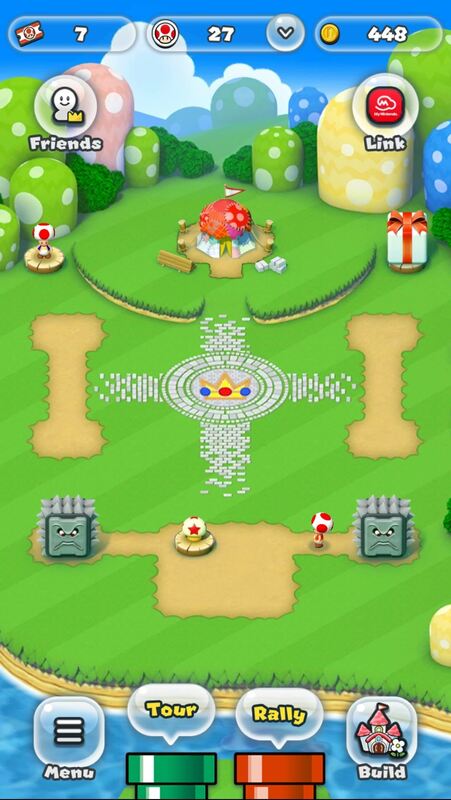 To do so, select either "Tour" or "Rally," depending on what mode you want to play. 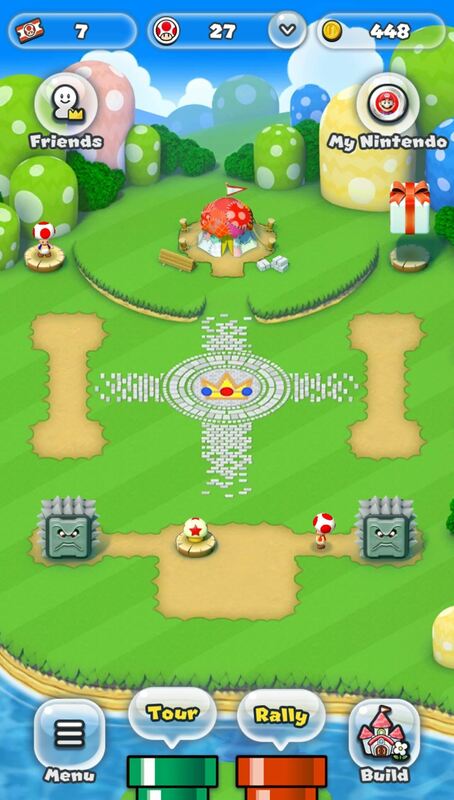 Next, either choose a map in the "World Tour" mode or select an opponent in "Toad Rally," then tap the character button in the lower-right corner. 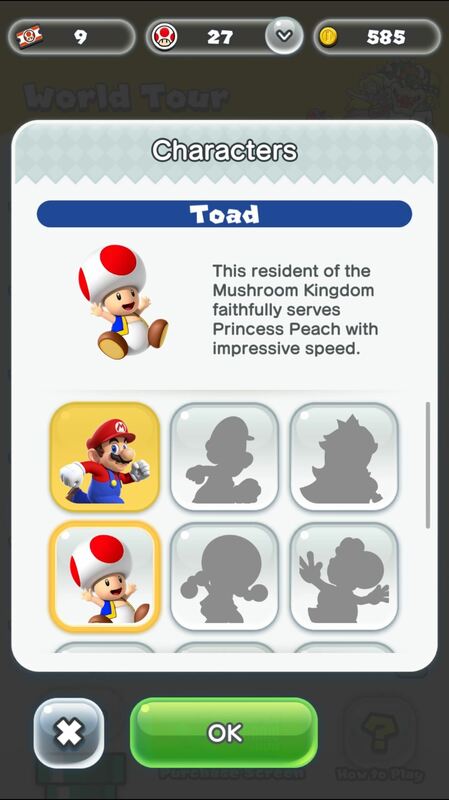 Once inside the "Characters" page, tap on Toad to select him and hit "OK."
With Toad set as your character, simply start the game as you normally would, and enjoy the game! 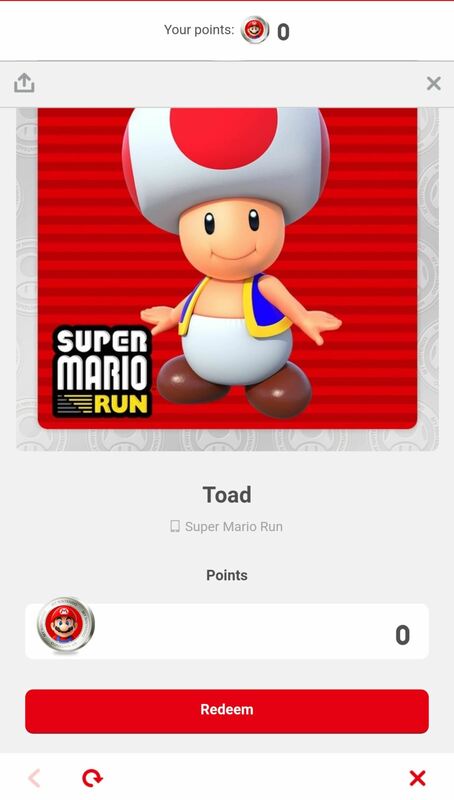 What are your thoughts on Toad? 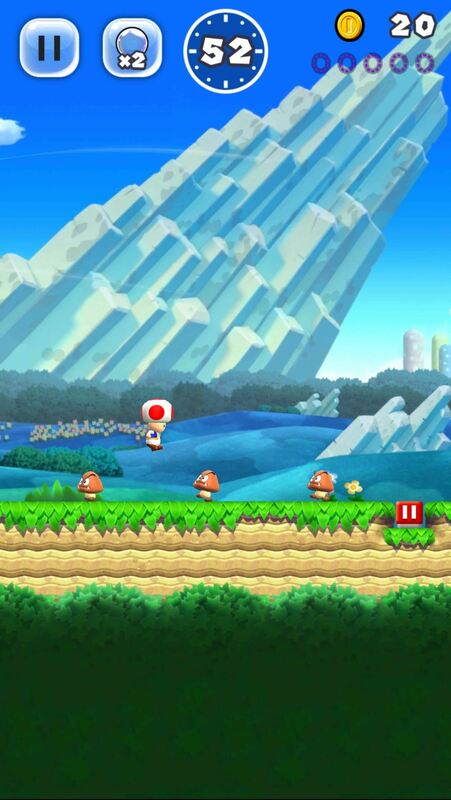 Do you prefer playing with this character, or will you be sticking with Mario? Let us know in the comment section below.